Okay ? you saw something in a trailer, a hip costume designer put it there, you think it?s cool, you?ve never heard of it, and want to see if it?s got ?legs? ... What next? This month we?re gonna talk about PRODUCT PLACEMENT and how it affects the retailer. Face it, when kids see something in a movie, they want it. Remember the run on Reese?s Pieces after ?E.T.?? More recent is the push on Uglydolls after kids started seeing the ?Zathura? 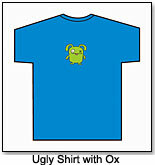 movie trailer where the lead, Danny (Jonah Bobo), is wearing an Uglydoll T-shirt. 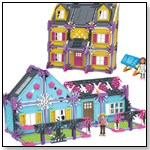 Want to get a jump on a toy trend? Watch the movie trailers. Many products get ?placed? in movies via the creative staff of a film. These people are experts at being on the cutting edge of what?s hip, now, happening. They look for products that haven?t ?broken? yet ? remember, shooting and release dates for movies can be half a year or more apart. They?re spotting trends for you. Let?s look at ?Zathura? again. Laura Jean Shannon was costume designer for Zathura (she?s got credits a mile long, but a few of the more recent are ?Elf? and ?Blade: Trinity?). ?It was my concept to use the Uglydoll on our lead character,? explained Shannon. ?Jon Favreau (the director) and I wanted to give this character a unique style ? not just the same old stuff you see everywhere. 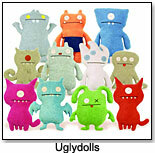 In my travels, I happened upon the Uglydolls at one of my favorite stores, Giant Robot. They were perfect ? still slightly obscure and not totally mainstream so by the time the film came out they would not be oversaturated into the marketplace but would be available for the public to seek out.? Okay ? you saw something in a trailer, a hip costume designer put it there, you think it?s cool, you?ve never heard of it, and want to see if it?s got ?legs? (Hollywood term for if it?ll be more than a flash-in-the-pan), so that when you order some for your store they don?t sit and collect dust on your shelves. What next? Usually an item that has been placed in a movie has a publicity rep. Yup, just like celebrities, there are PR firms that specialize in ?making stars? of products. For the Uglydolls, that firm is Victoria George Public Relations LLC. ?We?ve had good relationships with Jon Favreau from the movie ´Elf,´? explained Victoria George herself. (See how this works? Network, network, network). ?So we were excited that they used the T-shirt in Zathura ? it?s like one big ad for Uglydolls. We are helping it along by having a press launch for the T-shirts to coincide with the movie opening around Thanksgiving.? There you have it: Not only are Uglydolls getting free publicity from being in a movie, but come Thanksgiving, they?re getting a huge press launch. So, keep your eyes peeled, look for the undiscovered item in the trailer, keep checking with TDmonthly and Hollywood ToyBoy (we?ll stay on top of these things), and you might be the only game in town when it hits big. Wouldn?t that be great? Remember: e-mail, e-mail, e-mail?let me know what you like and what you don?t and what you want to know more about. •Plastic Death: Truth, or Scare? •Toys! Quiet on the Set! 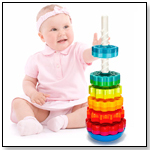 •China: Toy Empire, or Enemy?